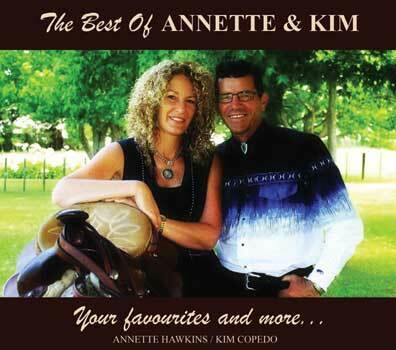 “The Best of Annette & Kim Your Favourites and more…..” is the new album from Annette Hawkins and Kim Copedo. It is a collection of 15 of the most requested songs from their previously released solo and duo albums. Songs that their fans love to hear them sing together on one fantastic album plus 3 great new original songs penned by Annette and Kim. That’s 18 songs now available for your enjoyment. Don’t delay get your copy today you won’t be disappointed.